The industrial food system has created a crisis in the United States that is characterized by abundant food for privileged citizens and “food deserts” for the historically marginalized. In response, food justice activists based in low-income communities of color have developed community-based solutions, arguing that activities like urban agriculture, nutrition education, and food-related social enterprises can drive systemic social change. 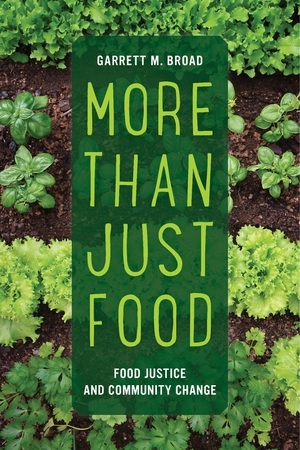 Focusing on the work of several food justice groups—including Community Services Unlimited, a South Los Angeles organization founded as the nonprofit arm of the Southern California Black Panther Party—More Than Just Food explores the possibilities and limitations of the community-based approach, offering a networked examination of the food justice movement in the age of the nonprofit industrial complex. 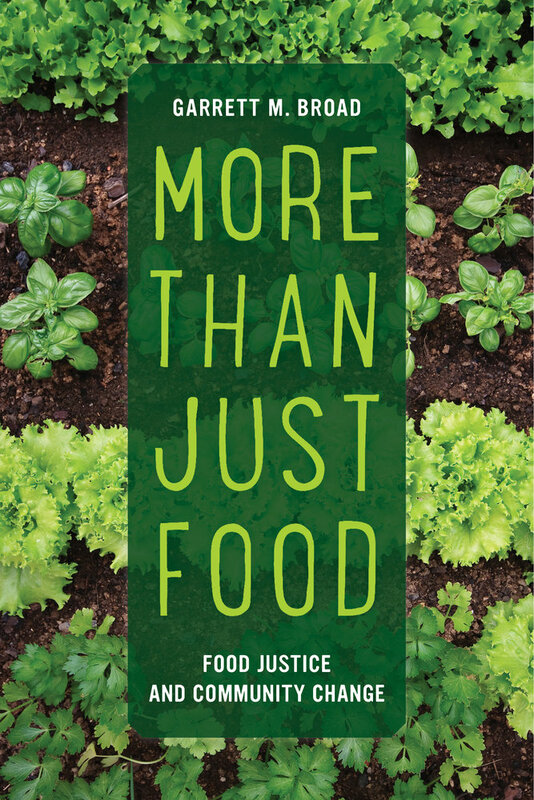 Book trailer for More Than Just Food: Food Justice and Community Change. Visit www.GarrettBroad.com for more information. Trailer produced by Matthew Broad and Brian E. Bennett. Featuring members of Community Services Unlimited, Inc (CSUInc.org).